Traveling to and from work every day is a lot easier with a car. However, cars require a parking space, one that you will have to pay for if your company’s premises don’t offer one. Maneuvering around a parking lot can be dangerous, especially if the place is crowded with vehicles and pedestrians. Accidents are likely to occur, and once they do, you should be prepared and know what to do next. 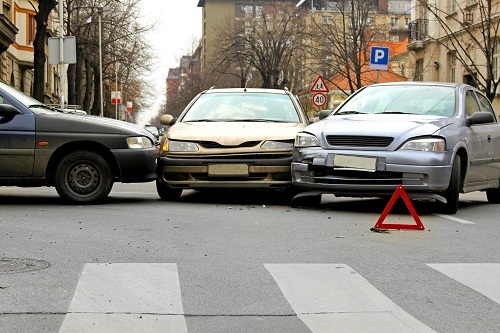 If you ever find yourself in a situation where someone hit you (inside or outside your vehicle) or your car on the parking lot, consult with a Los Angeles Car Accident Attorney immediately. Here is what you should do right after the accident. After the collision, if you are able to, take photos of the accident. This involves your car, the other party’s vehicle and all the damages done to your vehicle. Also, take photos of the accident from several different angles. This will help you and your attorney determine fault, and potentially win the case in your favor. If proven that it is not your fault and that you are not even partly responsible, you will be eligible to claim compensation for the damages done to you and your vehicle. Additionally, all medical expenses that you may have (as a result of the accident) will be compensated or paid for by the negligent party’s insurance company. Since most parking lots are private property, the “rules of the road” don’t apply to them. This means that no police reports will be made, and if you want something done, you will have to do it on your own. Your attorney will use this information to contact the other party, and once the proper investigation has been completed, you will be able to file a lawsuit and receive the compensation for the damages done to you. Remember that you won’t be able to locate the party at fault if you don’t take their personal information. Even your attorney won’t be able to help you in that scenario. Identify them on the spot, and do everything else through “legal channels”. If asked to provide any other piece of information, think twice before doing it. Giving away your social security number to a complete stranger is not a safe move. The same goes for your other sensitive personal information. The best thing you can do in such a situation is to contact one of our Car Accident Attorneys in Los Angeles and seek their legal help and guidance. They will tell you exactly what to do and how to do it. Play it safe, or risk losing your identity.